The 2016 shortlisted finalists for the West Africa Mobile Awards (WAMAS), the first truly West African technology awards to recognise the region’s leading mobile and tech companies, have been announced today. An overwhelming response drew submissions from 10 countries across 3 continents. Entrants (and finalists) run the gamut from exciting mobile industry start-ups pioneering new technologies and services, to established ventures driving progress in the region. The 2016 WAMAS are supported by Twitter, Ad Dynamo, Mobile West Africa (MWA), AppsAfrica.com, the Mobile Ecosystem Forum (MEF), and many other industry-leading organisations and publications. 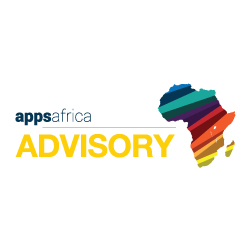 Applications were accepted across 10 mobile industry categories including eCommerce, mobile money, entertainment, mobile app, and brand development. A prestigious judging panel featuring industry experts from Opera, iSpace Foundation, and CcHUB worked together to down-select from the many worthy entries and create the shortlist. All shortlisted companies will be celebrated during an awards gala at Rooftop in Lagos on the evening of April 21st.The overall category winners will also be announced during the ceremony. BitFury Group, the world’s leading Bitcoin Blockchain infrastructure provider and transaction processing company, has made an investment in BitPesa, one of Africa’s leading bitcoin payment platforms. Cape Town-based codeX runs programming courses with the aim of addressing the lack of developers in Africa is training talented young brains to develop the next generation of businesses. Oppo the chinese manufacturer launched it’s rapid phone charging solution ‘Super VOOC Flash Charge’ at MWC this week and means Oppo’s new devices will be fully charged in just a quarter of an hour, while five minutes at the plug provides ten hours of talk time. More than 3’000 startups from Eastern and Central Europe, Africa, the Middle East, Asia and Latin America applied to participate in Seedstars World this year proudly supported by Appsafrica.com. In Africa these entrepreneurs are working relentlessly on solving problems they care about and are among the most inspiring people around.